A new science instrument, slated to be installed on board the International Space Station (ISS) in late 2017, is expected to yield interesting results regarding quantum phenomena. 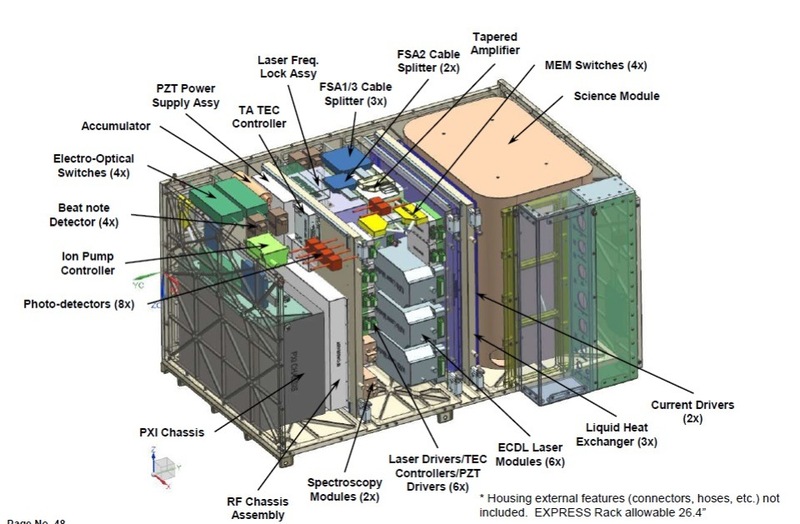 The Cold Atom Laboratory, or CAL, will study degenerate quantum gases in the microgravity environment of the orbital outpost. The compact, atom-chip based instrument will be capable of trapping such elements like rubidium and potassium, as well as producing degenerate gases of each species, after a few seconds of collection and cooling. 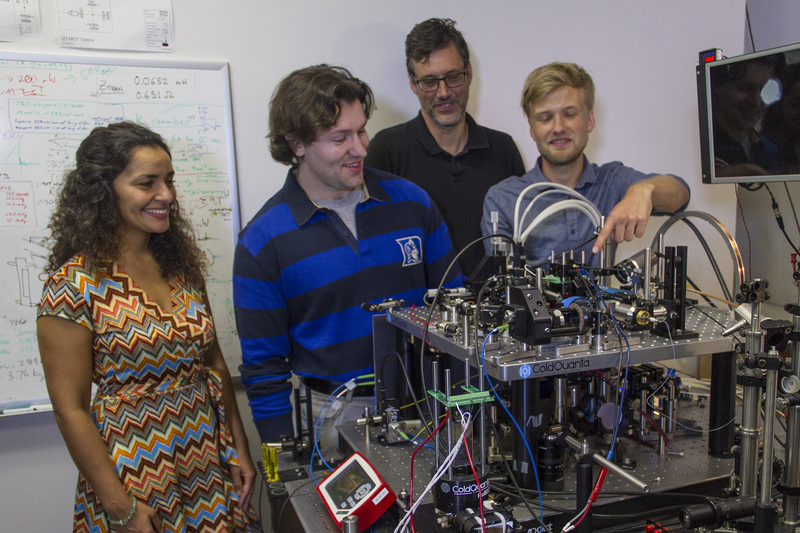 It will allow the scientists to create a state of matter called a Bose–Einstein Condensate (BEC). This state can be achieved by cooling a gas of extremely low density, about one-hundred-thousandth the density of normal air, to ultra-low temperatures – lower than those that are created in laboratories on Earth. “CAL is a multi-user facility to study ultra-cold atoms – below a billionth of a degree above absolute zero. Microgravity allows scientists to observe cold atoms floating unconfined for long periods of time allowing highly precise measurements of very weak forces,” Rob Thompson, CAL project scientist at NASA’s Jet Propulsion Laboratory (JPL), told Astrowatch.net. CAL is currently scheduled to be launched to the ISS by SpaceX’s Falcon 9 rocket in June 2017. However, due to a recent launch pad explosion on Sept. 1, when both the Falcon 9 and the Amos-6 satellite were destroyed two days prior to scheduled liftoff, CAL’s flight into space could be delayed. Moreover, it is also being considered that the instrument could be launched by Orbital ATK instead of SpaceX. After the arrival of CAL at the ISS, it will be installed by astronauts into the EXpedite the PRocessing of Experiments to the Space Station (EXPRESS) rack inside the station’s Destiny module, which will provide standardized power, data, thermal, and mechanical interface to the new facility. Due to its size and power requirements, CAL will occupy a quad locker space in the rack. “CAL will be installed into the ISS EXPRESS locker, where it takes up the equivalent of five lockers – a quad locker and a separate locker. Mass is around 452 pounds (205 kilograms) for the quad locker and 137 pounds (62 kilograms) for the single one,” Thompson said. Once installed, the instrument will be operated remotely from the ground via sequence control, so there will be no need for further astronaut involvement. The main goal of CAL is to study ultra-cold quantum gases in the microgravity environment. The instrument will investigate rubidium and potassium isotopes, as well as interactions between mixtures of these isotopes. The facility is designed for use by multiple scientific investigators and to be upgradable and also maintainable on orbit. CAL is also perceived as a pathfinder experiment for future quantum sensors based on laser-cooled atoms. “CAL will be making several exciting Principal-Investigator-Led (PI-led) specific investigations, in such areas as tests of general relativity, the physics of few-body collisions, and studies of novel spherical quantum bubble geometry condensates,” Thompson said.